I confess I was cringing at the thought of pulling up last month's nightstand post because I was afraid I had not done so well. I did better than I thought! Not as good as I would have liked, but ok. Personally, I was hoping to plow through many more review copies during the month of November than I was actually able to do. That just means I'm going to have to work on more of those in December (or speed through them as fast as possible in my few remaining days in November). Stressed-Less Living - linked to my review which posted over at 5 Minutes for Books. I felt rather so-so towards this one. Not a huge favorite that I will remember always. Double Blind, by Brandilyn Collins - This was my first Collins book. I found it . . . humorous and disturbing. Judging a Book by its Lover - Linked to my brief thoughts. Making Room: Recovering Hospitality as a Christian Tradition - Linked to my review in which I highly, highly recommend that others read this. Really, do! Women, Slaves and the Gender Debate - Linked to my thoughts. This was the review copy which I got stuck on and spent much, much more time than I though I would reading. It's a very good book to read, it just took me awhile to work through. What are my goals for December? #1 - Dickens' A Christmas Carol in conjunction with the Reading to Know Book Club (and just because I really want to re-read it every year). #2 - Mrs. 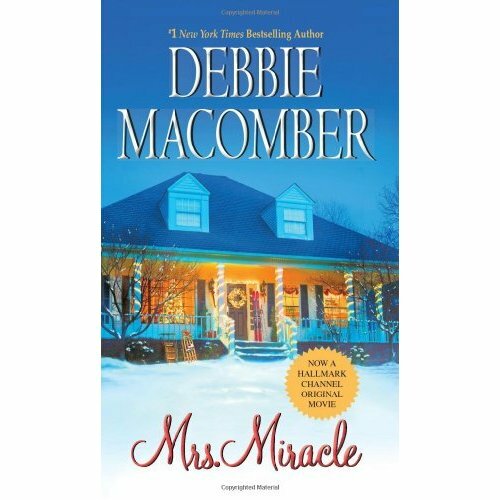 Miracle , by Debbie MacComber. I read Call Me Mrs. Miracle (linked to thoughts) last year, not realizing it was the second book in the Mrs. Miracle series. I found a copy of Mrs. Miracle at Goodwill or some place and snatched it up with the intent to read it this Christmas. #3 - Christmas With Anne - I've read and reviewed it before (back in 2008?! *gasp*) and I think it's time to re-read it! The FIFTH annual Lucy Maud Montgomery Challenge which starts January 2013!!!! More info on that in the very near future. Tired of hearing me mention those? I'm tired of typing them up as "unread." Time to get reading! So what are your reading plans as we wrap up our 2012 reading year?! I loved Christmas With Anne! She's such a familiar and well-loved friend. I'm so looking forward to the January challenge! My reading plans for December... finish The Brothers Karamazov. Read and write reviews for the two nonfiction books I said I would review. Write the reviews on the two books I just finished. ;) And read whatever other books I create time for! I continually tell myself I'll cut back on books I agree to review for my blog. But then I'm always so intrigued when I get emails for more ... it's a dilemma :) The Anne Christmas book looks interesting -- I didn't know there was one! Stressed-Less Living sounds like one I should pick up; bummer that it's just so-so though. I suppose with such a common topic, it would be hard to come up with much original to say. Les Mis is on my lost again. Sigh. I maybe need to sit down and do this because I'm feeling a little frazzled with my reading lately. I'm all over the place and can't even tell you how many books I am reading at the moment! And I think I've reading everything BUT what was on my Fall challenge! Christmas With Anne sounds fun! 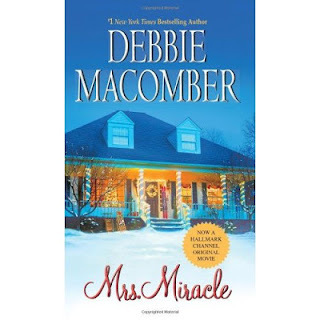 I had seen Macomber mentioned on so many blogs that I delighted in finally staring one of her books earlier this year....and was very disturbed to find some specifics of a couple's sexual encounter (a married couple, but still...) I had not thought she was "that" kind of writer, and she must not put that in every book. But I lost all desire to read her after that. I'll have to write down "Making Room"--hospitality is definitely an area I have room to improve in (no pun intended). Your December books sound fun. Enjoy! Yeah! I purchased the Anne of Green Gables series some months ago and I am looking forward to the Fith Annual Lucy Maud Montgomery challenge in January! I am excited too to read A Christmas Carol. Looks like you have some nice Christmas stories on your list. I'm also working on The Arabian Nights with the kids. I had a comment for you, but I was logged in to my wrong account, so I lost my comment. I do like your description of Double Blind -- humorous? Ha. 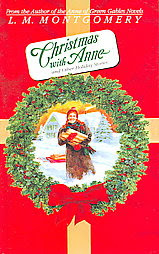 I am going to have to go on a hunt for the Anne Christmas book. I can't believe I don't have it! I finally go a copy of Choosing Gratitude. Ever since you first reviewed it I've haunted Goodwill looking for a copy (which finally happened). I think I'm going to save it for the new year. I'll probably really need it by then. I read A Christmas Carol a few years ago and really liked it, I like the idea of reading it every year. I wasn't aware of LM's short stories, I'll have to look into Christmas With Anne! In my professional life I'm reviewing (and recommending) another Hospitality book, Table Grace: The Role of Hospitality in the Christian Life by Douglas Webster. You might also enjoy it. A Christmas Carol would be a good book for my trip to AR in Dec. Is it really time to start thinking about LMM Challenge again?! Where did the year go?!! !